We’ve all heard the saying ‘everyone has their own journey in life’ at some point or another. Often this means that we ought to respect anyone and everyone we meet, for they have their own battles and hardships that only they can understand and it is not our place to judge. Truth be told though, no matter how different our journeys are, when you think about it we are all on the same road; the road which we all call life. Now, put that thought into perspective and think of how it applies to car culture. 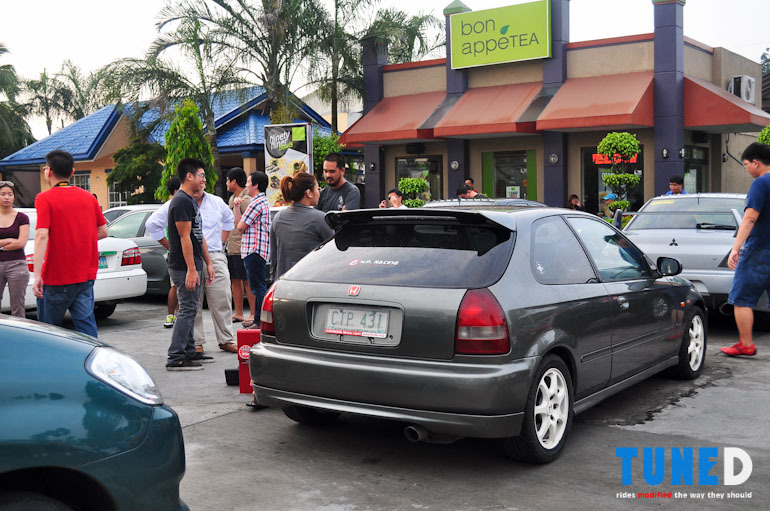 There are various disciplines, schools of thought, and philosophies to adhere to when it comes to building and setting up cars… yet we all seem to agree on one thing, we all love to drive. That said this year’s Tänaybürgring is a celebration of that passion to drive. 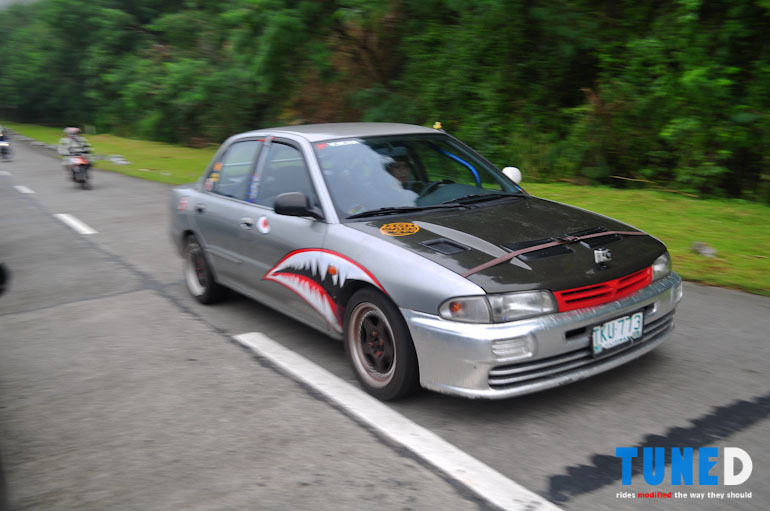 The guys at Team A have once again brought together cars and people from all walks of life to share a day-long drive around Laguna de Bay through various mountain passes from Rizal to Caliraya and back. 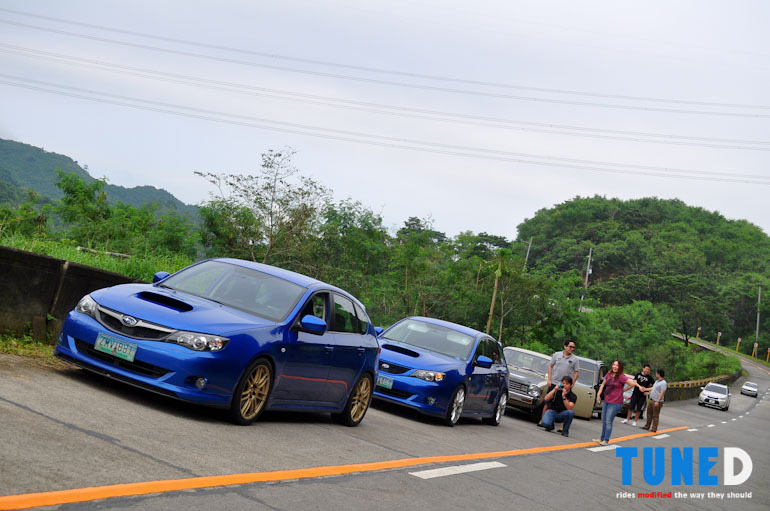 Fierce rivals like this STI and the Evo at the back were welcome to enjoy the drive together, and suffice to say it’s quite a good recipe for one epic run! 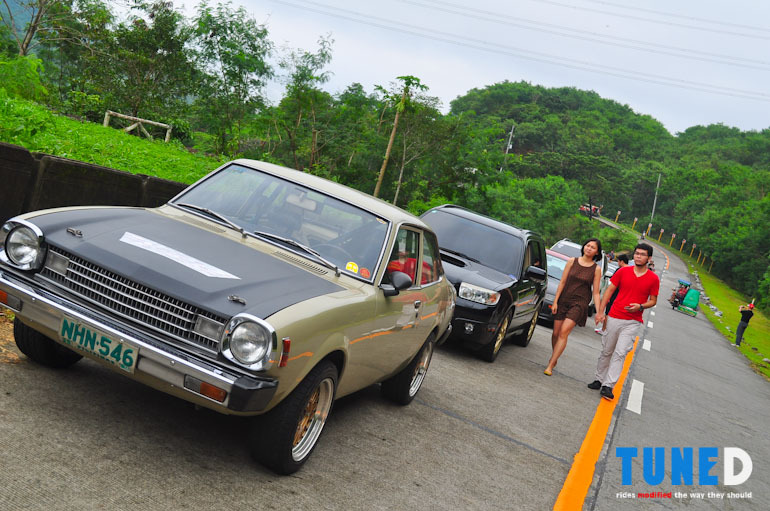 The day started off pretty much how it did last year – with an early morning meet up that filled Shell Marcos Highway to the brim with cars. 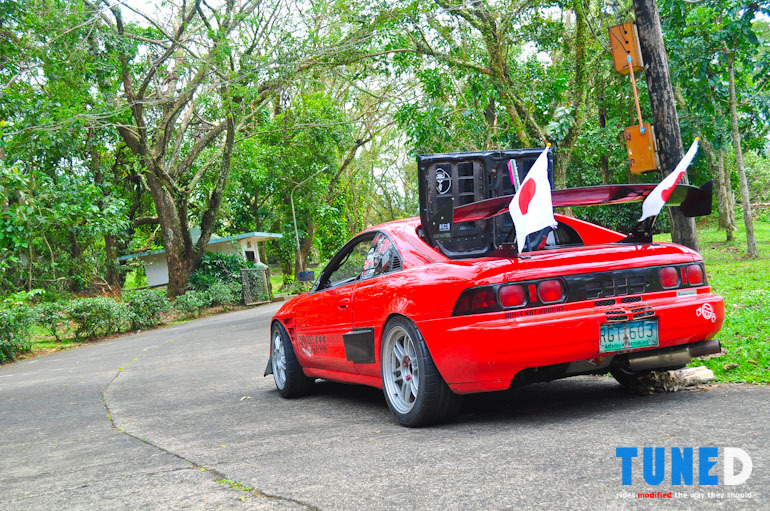 Once Iori Suzuki, the main man behind this event, arrived with his fancily adorned faux-Ferrari a quick briefing was held before everyone set out on the 200km journey. 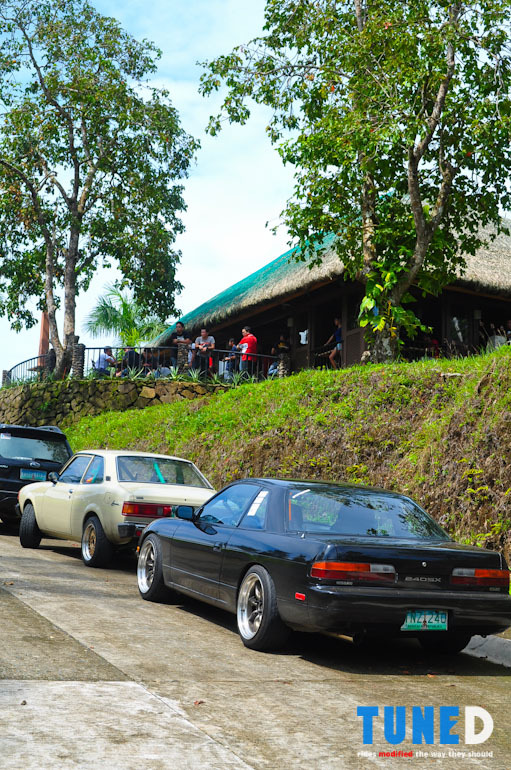 Our first stop for this trip (something that has become somewhat of a tradition since last year) would be the viewing deck area of the Sierra Madre mountain pass, the first among the passes taken. Last year we had clear sunny skies to take in all the cars parked throughout the longest stretch of road in Sierra Madre, this year though we were treated to some nice cool fog to make for a different backdrop. Given our numbers this year, the trail of cars stretched even further up the road! Here you will see how people choose to enjoy the Tänaybürgring in many different ways. 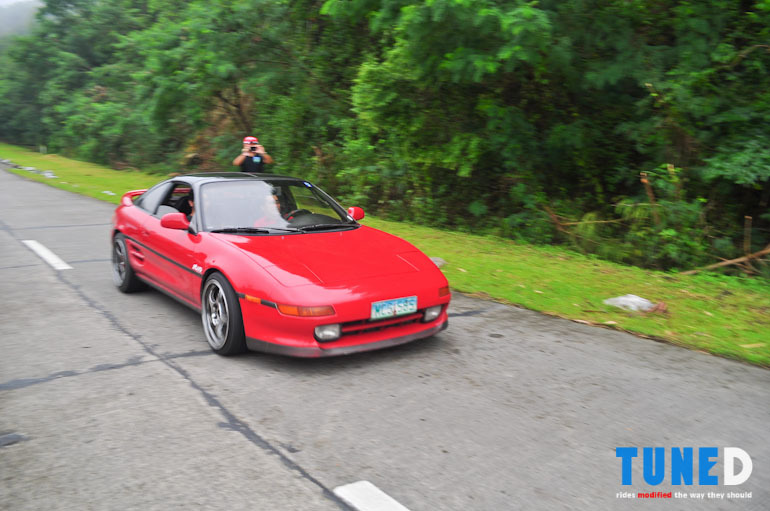 From horsing around on your buddy’s MR2, to standing on top of a brand new FJ Cruiser to take in more of the view, or simply strolling around with your special someone, this event can be enjoyed however the participants choose to do so! 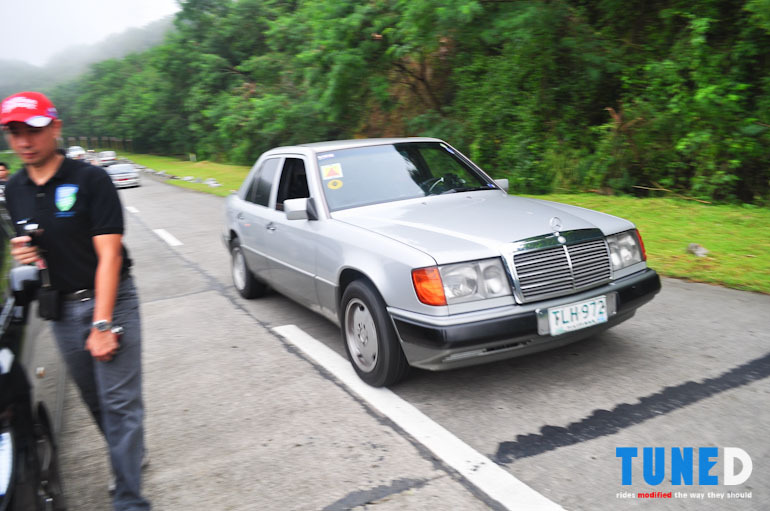 Variety is indeed the spice of life, and amidst all the Japanese compacts, 4WD turbos, and coupes abound this Mercedes W124 represented German iron quite well, holding its own throughout the run with its diesel lump! 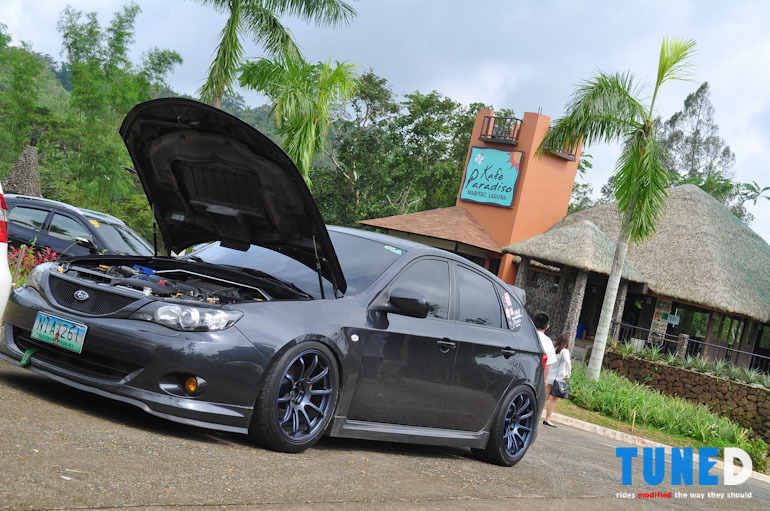 Subarus were quite plenty this time around, and surprisingly there were more WRXes than STIs too! 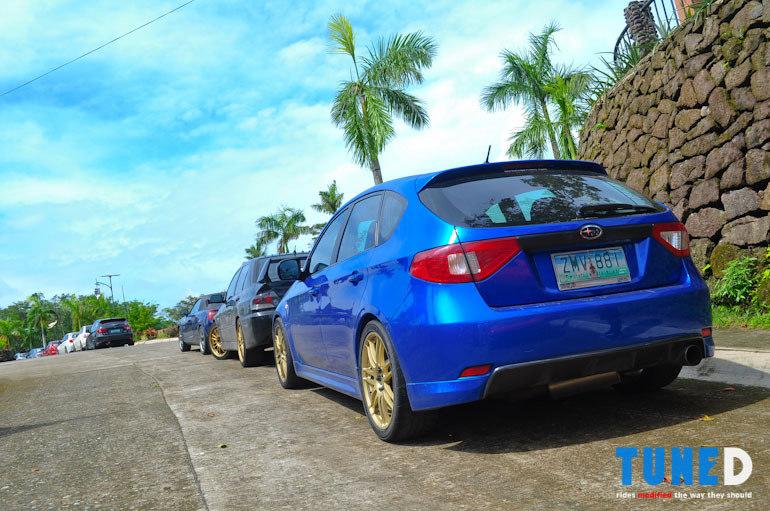 This pair of WR Blue WRXes, along with my own, travelled as a solid pack for a good part of the run. 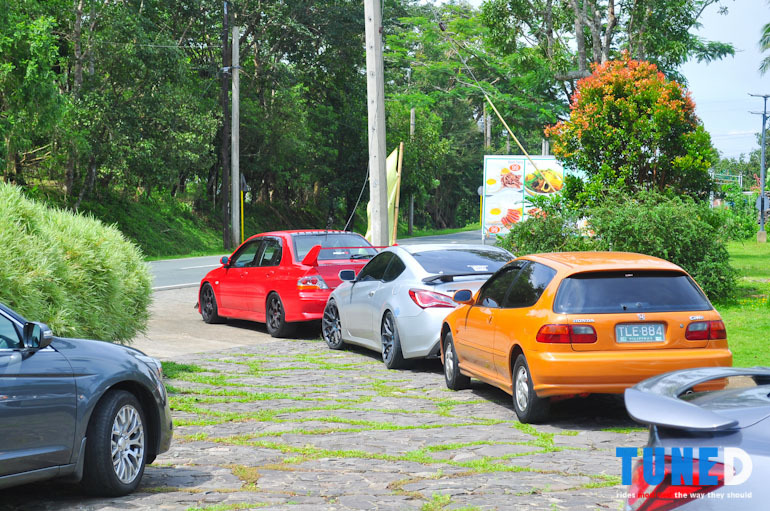 Our next stop brought us to Pranjetto Hills, a resort on top of the Sierra Madre, which is usually the turn-around point for Sunday fun-runners. 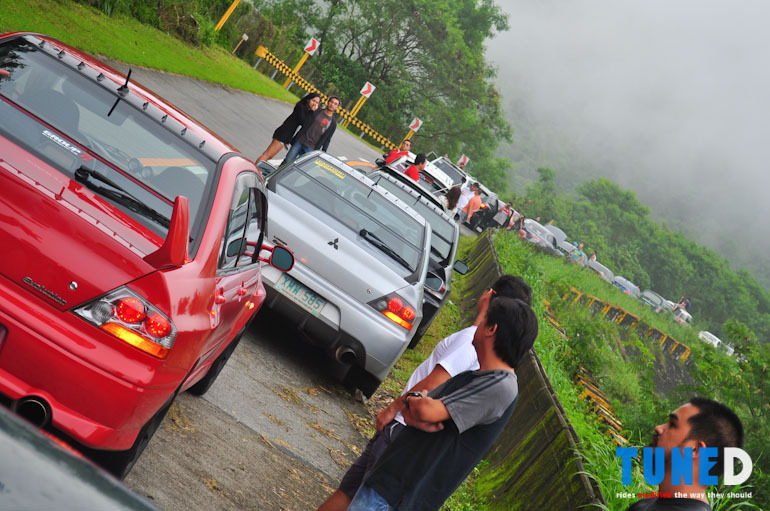 We stopped here to give the cars some time to cool from the steep ascent before resuming on our route. After passing through Sierra Madre and down past Rizal, our lunch stop brought us over to Kafe Paradiso in Mabitac, Laguna. This place was rather convenient for us in that they were right on the way of our route and had lots of parking spaces as well! While waiting for the food (which took awhile considering the number of people present), everybody was treated to a relaxing break to take in the lush scenery surrounding him or her. Some, like myself, decided it was a good opportunity to grab more photos. Cars like that black PS13 Silvia and the 1st gen Lancer in front of it were also present last year, showing just how dedicated some drivers are to this run! Much like how there are cars that are pretty seasoned with the route, some new machines participated in our run this year as well. 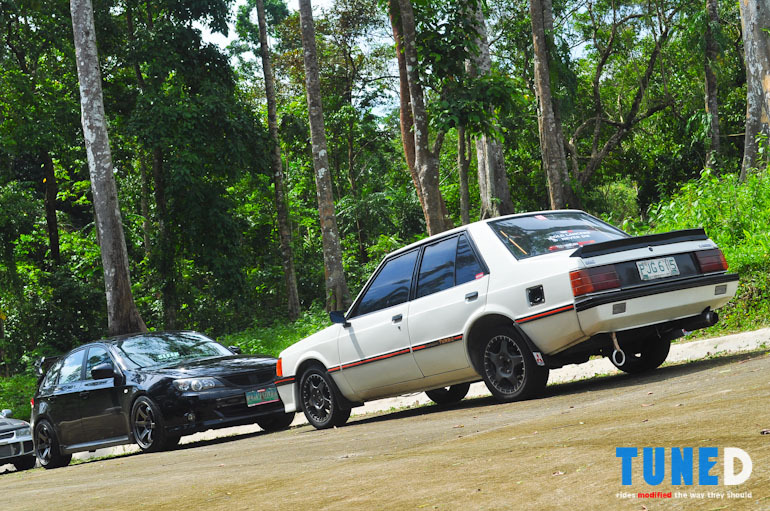 Last year JP Carino brought out his Lancer Evo 5 for the run, this year though he decided to change things up a bit by driving this pristine Isuzu Gemini SL. 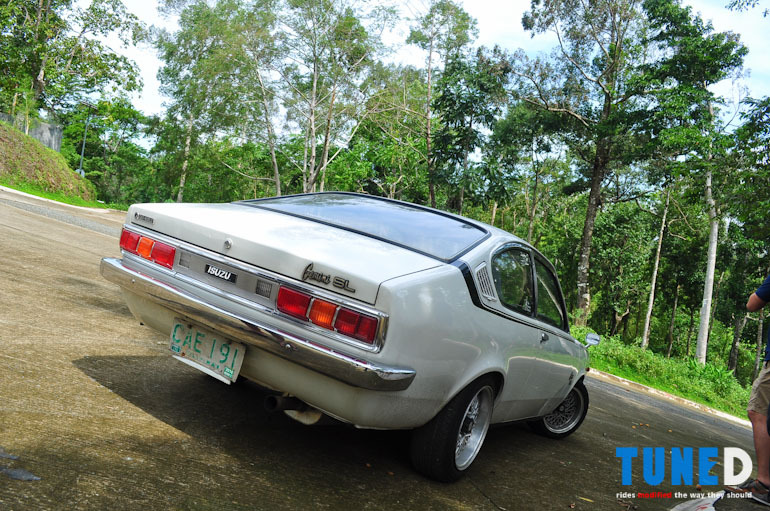 Make no mistake though, while this car is new to our run I am fairly certain this has racked up more kilometers than most cars that were present since it regularly gets driven to far flung provinces! Way to keep the nostalgic car spirit alive I’d say! Who ever said SUVs couldn’t join in on the fun? The guys driving these were pretty much taking in the sights and enjoying the roads at a leisurely place with their families and loved ones. One long lunch break later, we were once again on our way around the loop. 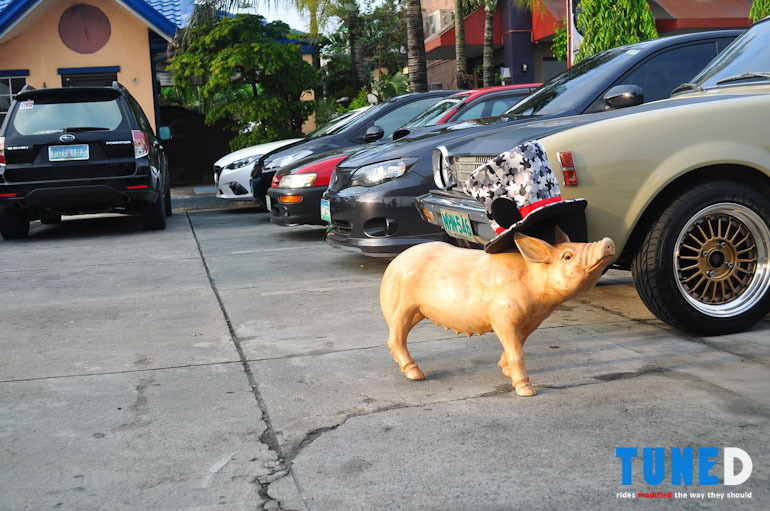 This time we continued on along the national highway and turned left towards Lake Caliraya. This part of the run was rather spirited and would certainly be remembered as one of the highlights of the day for a good number of participants! 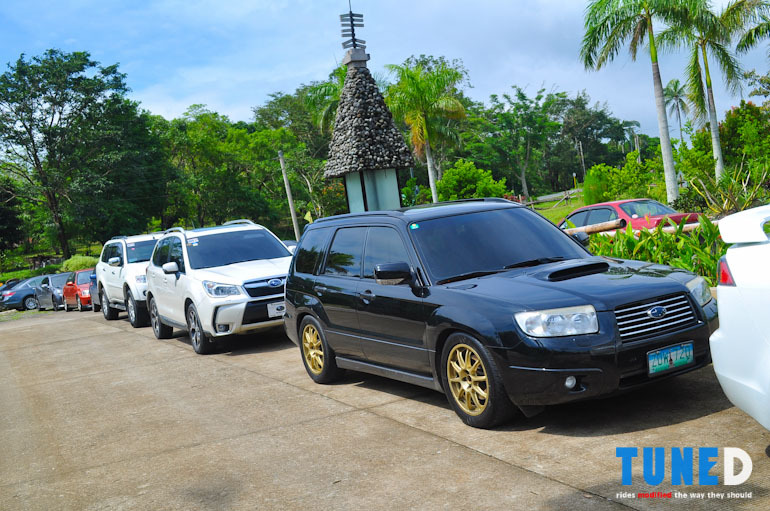 A quick stopover at the Japanese Gardens along the lakeside was taken in order to cool the cars after that quick spurt as well as to gather the rest of the group. From here on out, the group separated into several smaller groups. 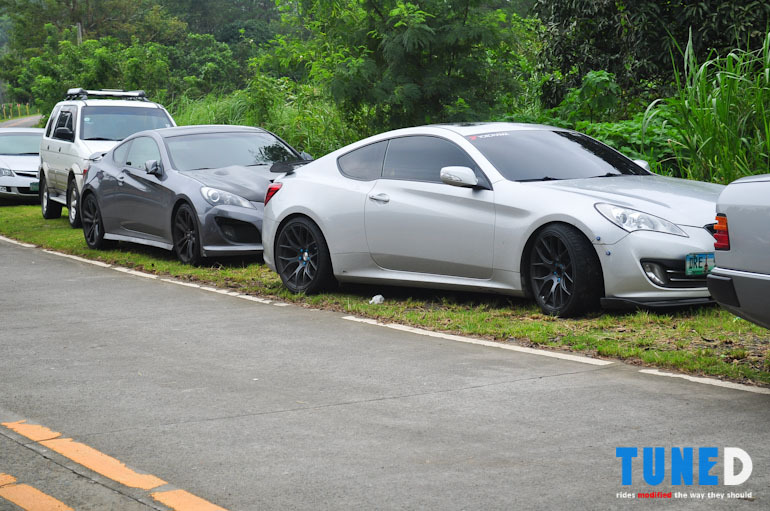 Some decided to take a detour (that eventually got us lost and made the trip longer) through the towns of Lukban and Majayjay to get to San Pablo where we’ll merge back to SLEX, while others stuck with the pre-set route and made their way through Los Baños traffic. 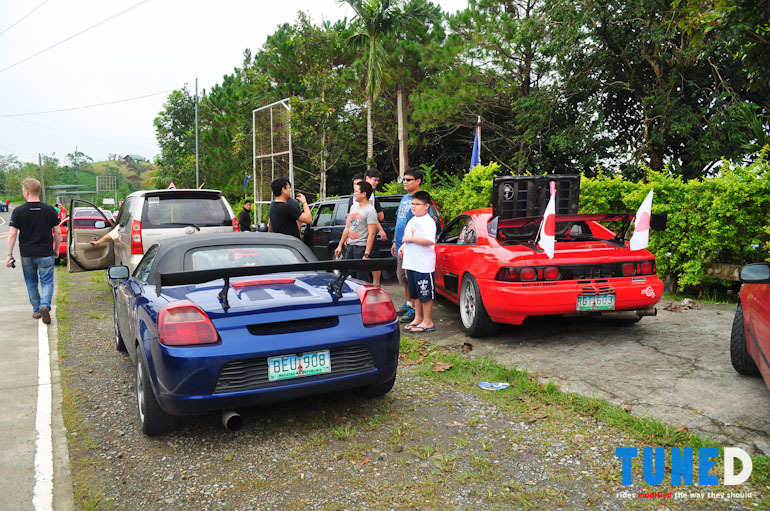 Soon enough we all made it to Solenad 1 in Nuvali, the last stop and conclusion of the run. 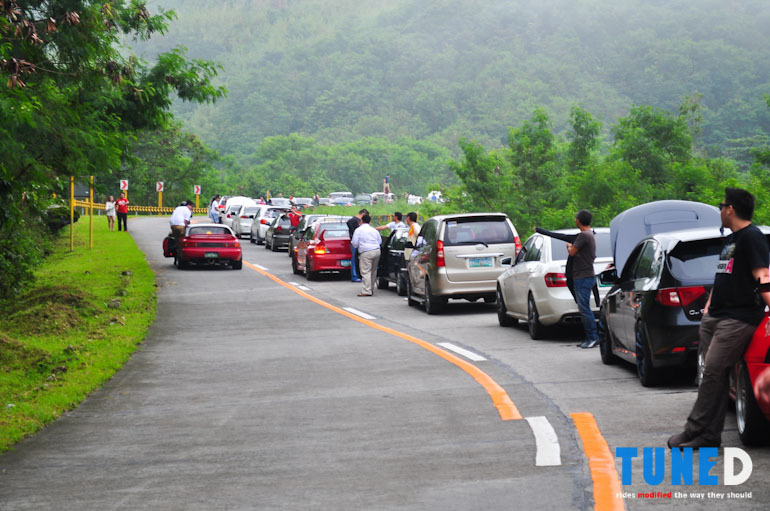 It took awhile for some people to arrive given that several different routes were taken, but eventually everyone was complete and thankfully all cars completed the run with minimal issues! With all that’s said and done, the participants who have completed Tänaybürgring 2014 each left with a sticker commemorating their completion of the run this year. 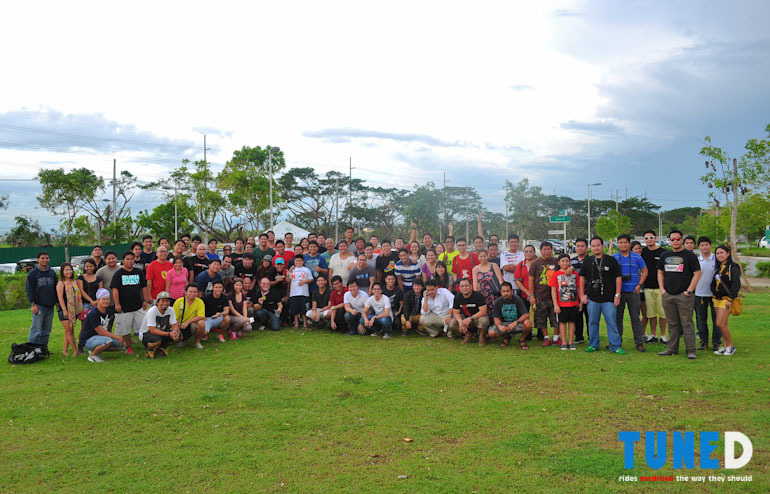 And considering the smiles on everyone’s faces here, it’s safe to say that this year was certainly a much more memorable run worthy of succeeding last year! On behalf of Team A, we hope to see more faces at next year’s Tänaybürgring. We’ve got more surprises in the works, don’t miss it!